Orphek NR12 LED lamp specifically designed with a finely tuned spectrum for growing the most light demanding plants in aquariums with a depth of 18 inches. What can you expect at a height of 18 inches (0.45cm); A PAR of 180 and a coverage area of 17.5 x 17.5 inches (450 x 450mm) using 12 watts of power. 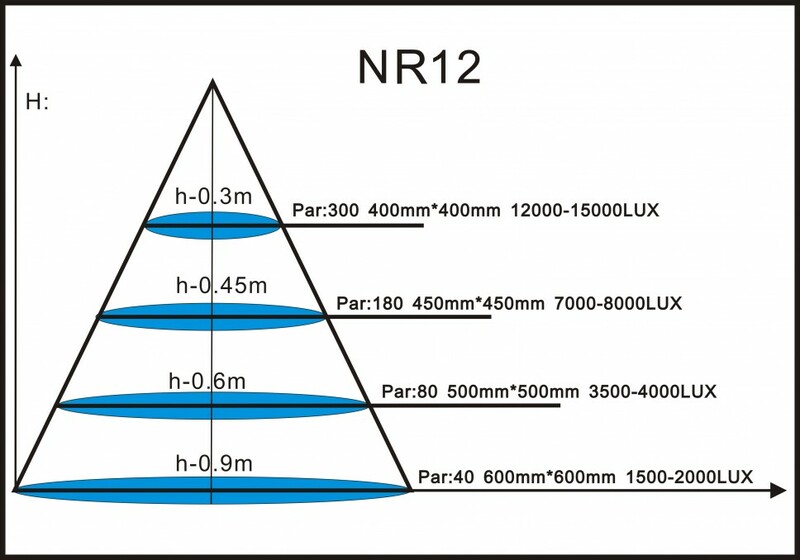 The NR12 is finely crafted using the best materials and our own specially designed LEDs. 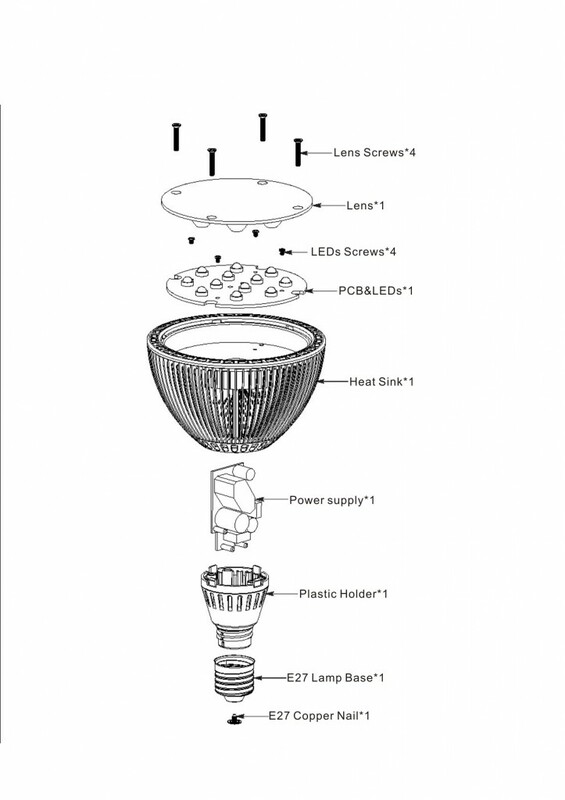 Using off the shelf LEDs will not allow us to fine tune the spectrum that is required by aquatic plants. The NR12 planted spectrum showing beneficial peaks in the chlorophyll A and B absorption area. The NR12 is a plug and play lamp and requires a common E27/E28 powered lamp socket. Any suitable gooseneck type clamp on lamp will provide great results as the reflectors and lenses are built into the lamp itself. Highest PAR in its class watt for watt. Assembled to work on your voltage requirements, no plug adaptors or transformers required. Screws into an ordinary lamp socket. Superior Orphek LED diodes used throughout. 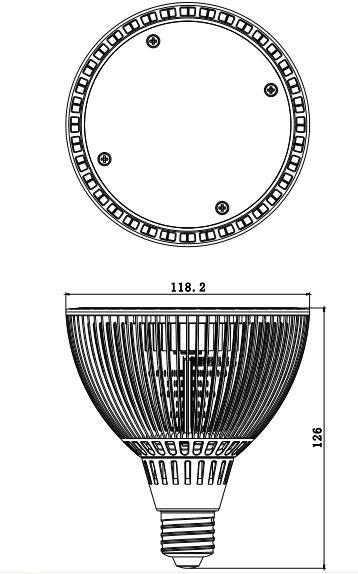 Optical quality lens and faceplate.